the local list: Painting and Wine! 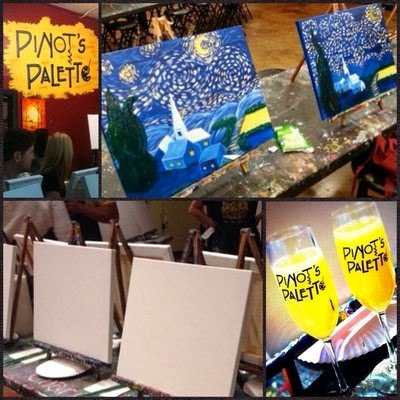 Pinot's Palette is opening a new franchise in Tustin on March 15! This is the new trend of spending two to three hours painting a picture with your friends or loved one and having some drinks while you do it! You don't need to have any experience, and you will get to keep your painting at the end! OC Register is having a deal: Use the code OCW50 and you will receive 50% off your transaction!